A few weeks ago I shared my Living Room Reveal! Here is the other side of my living room. I repainted the tv stand I mixed my own color and it was at first a brighter navy blue color, but I add some black to make it a little deeper. I am currently deciding what I want to do above the tv. If you have any great ideas please let me know! 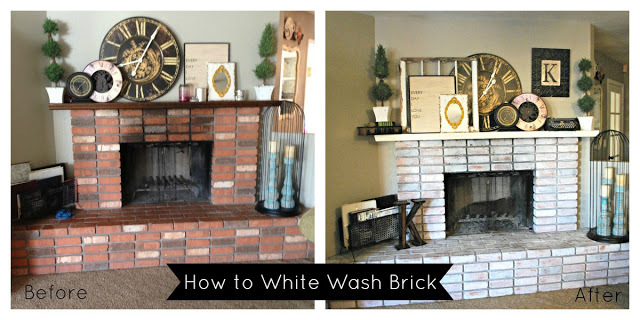 A while back I did This Post about how to white wash a fireplace. I can’t believe these old pictures of my fireplace. I also love the way my fireplace paint is “aging” as times goes on. I have a few more ideas and goals for this little area of my house. A sign above the tv, and to build and bigger and better mantel. I am hoping that since I put my ideas in the post I will make it happen! 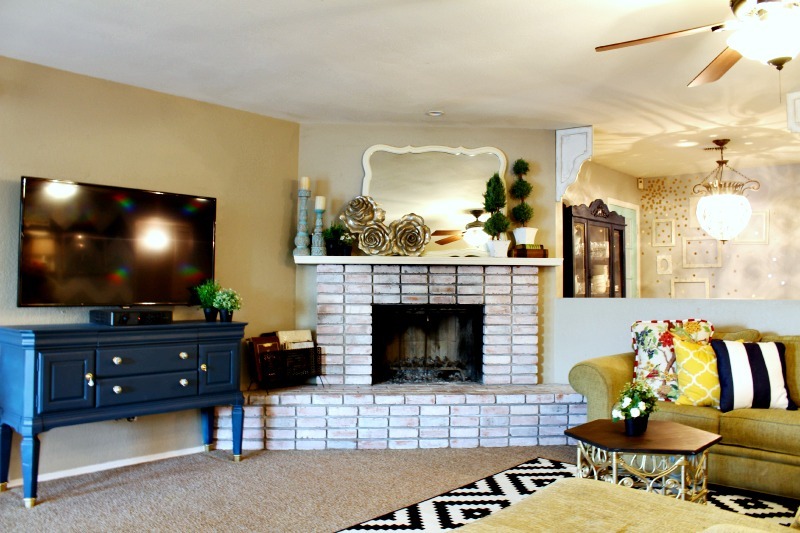 It looks stunning, I really love how you white washed your fireplace! Your fireplace looks awesome, I love how the wall that it is on is at an angle!!! So pretty and the way you decorated it is great too!! Where did you get the silver roses on your mantle?? Love!